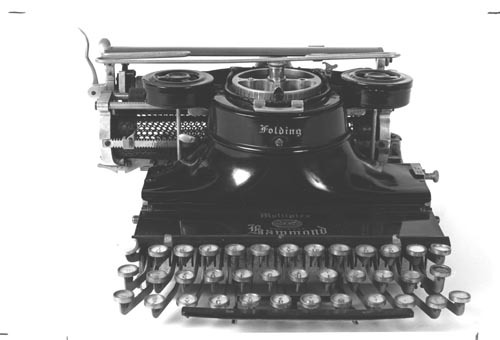 B&W image of an early typewriter produced by Hammond. It has a QWERTY keyboard with numerals on both sides of the letters. It has a type wheel. Verso white paper sticker: " This photograph may not be reproduced without written permission of the Photographic Archives of The COmputer Museum, Boston, MA."